A San Francisco nonprofit is using a fascinating mix of machine learning and solar panel technology to help the fight against deforestation in Brazil. Rainforest Connection, led by founder and CEO Topher White, creates devices called Guardians that listen to the rainforest and send real-time alerts to combat illegal logging. White’s startup places sensors high in the canopy of the Amazon Rainforest in Pará, northern Brazil. The devices are powered by solar panels and built using modified cellphones. The “Guardian” sensors record the forest itself and the sounds of deforestation—such as gunshots, fires, and chainsaws. Using machine learning and “bio-acoustic monitoring,” White analyzes the noises recorded by the sensors, singles out these sounds, and pinpoints the location sent by the Guardian device. 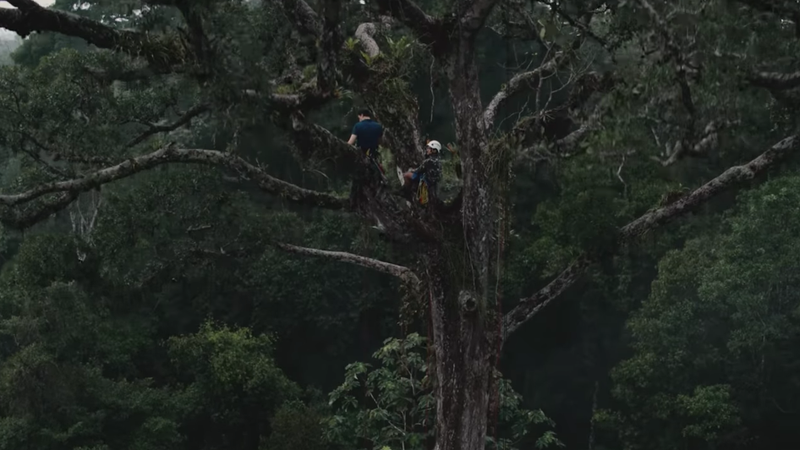 Google uploaded a video of White using the devices alongside the Tembé, Pará’s indigenous people who are fighting to regain their land from loggers chopping down trees, burning fields, and hunting. The Tembé have about 30 trained rangers to patrol the forests and defend against loggers. Of course, the Amazon rainforest is already incredibly dense and difficult to navigate, let alone coordinate a united response to loggers, who themselves may be armed. White analyzes the acoustic data coming in from the Guardian devices with help from TensorFlow, Google’s open-source machine learning framework. As you might expect, rainforests are extremely noisy. The Guardian devices run 24/7, so to distinguish the sounds of logging from everything else, White uses machine learning to analyze the data for the specific audio patterns that indicate a chainsaw or gunfire. With the sound isolated, and the location data the sensors provide, it’s much easier for the patrols to respond. Acoustic detection technology is already common in the US. Police departments in places like Chicago and Baltimore use it to detect gunshots. In areas with high gun violence, many shootings go unreported. Shotspotter, as the tech is called, alerts police to the sound of gunfire and its location. Rainbow Connection’s site says it’s completed pilots in parts of Africa and, in addition to fighting animal poaching and deforestation, it wants to create an “Audio Ark” of endangered species across the planet.